White Star Records are currently riding the energetic crest of an impressively creative wave. After the release of Kepler Ten’s blistering debut album Delta-V in February, co-founders John Mitchell and Chris Hillman made the supremely shrewd move of signing ex-Touchstone front lady Kim ‘Elkie’ Seviour to the label. 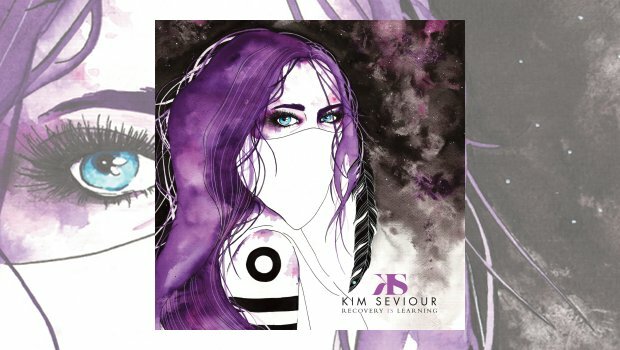 The spectacular dividends of that decision are laid bare for all to see with the launch of Seviour’s stunning solo release Recovery is Learning which is lavishly melodic, emotionally engaging and achingly beautiful. What a voice! From the opening bars of the sizzling Chiasma to the closing refrain of the smouldering Morning of the Soul, Seviour puts on a triumphant master class of vocal supremacy and dexterity which is as much at home delivering thunderous anthems and spirited power ballads as it is with capturing the careful, subtle nuances and sophisticated resonances demanded by the more sensitive and delicately reflective aspects of the songs. You believe and accept the plea without hesitation; Seviour bestows the lyrics with an elegant compassion and inviting empathy carried purely by the refinements of her vocals. Compare this to the opening refrain of The Dive. The sheer energy and punch of the music might suggest this is nothing more than a casual anthemic introduction with which audiences at concerts will join in with lusty abandon. They probably will – but listen again to the sequence of notes. There is no sliding from note to note, no ‘bleed’ or blurring in the transition between each sequence. What you hear is a striking and quite thrilling precision in the vocal which hits each point on time, to time, every time with an exact and remarkable perfection. Seviour’s poignant, touching and thoughtfully illuminating lyrics are given explosive energy and biting depth by John Mitchell’s intense, invigorating song writing which bristles with a deft and responsive dynamism. The music exudes a defiant optimism which speaks not only of the depths of suffering, emotional torment and self-doubt but also of the expressive delights of finding oneself again, the vivid blooming of self confidence and inner belief, and the unshakeable determination to celebrate who you are and the life you live. When so much of recent contemporary prog seems to delight in trawling the depths of our existential despair and wringing every last drop of emotional anguish from our daily lives, Recovery is Learning is delightfully refreshing in offering a light in the darkness, safe passage through the turbulence of the crises we face. It offers no guarantees; it gives no false assurances. What it does is more important than anything else; it offers the promise of hope, comfort and the encouragement that you are not alone. Others have travelled this way and without the shadow of any doubt, many others are just embarking on a similar journey. The wonderfully melodic and gently lilting Mother Wisdom captures with graceful simplicity the poetic spirit of grounded empathy which pervades the album. Wrapped up in a cascading chorus comparable almost to a child’s nursery song, the music ripples with an embracing, reassuring and encouraging rhythm which softly lulls and soothes. Life is hard. We lose our way; we find ourselves in places we never expected to be and do not particularly want to be. Recovery is Learning is a painful, sincere and above all truly personal odyssey into the bewildering, unexpected and unhappy places in which we find ourselves. Somewhere along the way the warm embrace of an arm around the shoulder tells us we are not alone and everything might, just might, be OK. With music that gloriously oozes a lively, fiery warmth, a tender compassion and a courageous love, Recovery is Learning explores the ways in which it becomes possible to hope – and live – again.